The cost to pave, replace or resurface asphalt averages between $2,846 and $6,294, though the project can cost as little as $1,500 or as much as $10,000. Homeowners typically spend an average of $4,501. An asphalt driveway costs between $3 to $4 per square foot compared the $6 per square foot average to install concrete. The material used matters, and asphalt is an economic, durable, safe, and recyclable building material. When properly installed, it provides a clean, safe surface for work and play. Paving a surface, whether it is a driveway, blacktop court, walkway, or parking lot, offers home and business owners a variety of advantages beyond enhanced aesthetics and an easier time removing snow in cold climates. Choosing to install asphalt paving is a major project, however, that requires the skills and tools of a professional contractor. 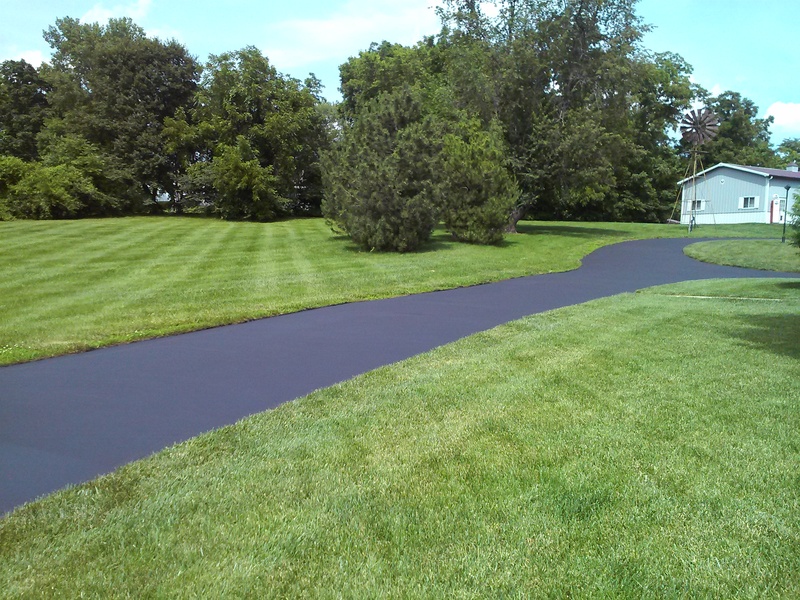 Driveway paving is the most common application of asphalt due to its many benefits and affordable cost. In fact, it is one of the most affordable options when it comes to driveway paving, costing $3-$4 per square foot on average. Choosing to pave your driveway with asphalt is not only wise economically, but it is also actually the standard in many harsh climates, such as the Northeast, where plowing and variable weather tend to break down more expensive driveway surfaces. Is Asphalt Cheaper than Concrete? For many homeowners, choosing to pave a driveway is a simple way to enhance their home’s curb appeal by giving it a finished look. However, depending on the climate in your area, choosing the right material for the job can be tough. While there is a range of options from gravel at the lowest end to brick pavers at the highest, most homeowners consider just two: concrete and asphalt. Asphalt is the more common selection in cold-weather climates because it adapts well to temperature changes, expanding and contracting as the mercury moves up and down. Concrete, if not properly treated, is subject to cracking in below-freezing conditions and is much more difficult and expensive to repair, making it a more popular choice in warm-weather climates. One reason people in warmer areas choose concrete is because it lasts up to 30 years vs. the 20-year life span of asphalt. However, asphalt is markedly less expensive than concrete and is easier to repair, despite needing resurfacing and resealing every 3-5 years. It is also far better at concealing oil leaks and other stains commonly produced by motor vehicles. While the average cost for asphalt paving is relatively low, there are several factors that can affect the final price for any project involving this material, specifically if homeowners are laying down a new driveway or other paved surface. The following list outlines some of these common factors that can impact asphalt paving costs. Local Material Cost: factors such as freight, the current market price, and fuel surcharges all impact the raw price of material used for paving. Drainage and Geotextile Additions: the life of any paved surface improves with proper drainage. Base Coat: At minimum, plan on two coats, base and top, for any job. The higher the material quality and the more time spent on the base, the longer the life of the paved surface will be. This costs $1-$2.50 per square foot. Specialized Top Coats and Sealants: General top coats and sealants cost between $1-$2.50 per square foot. Special features such as chip seal and stamped or colored topcoats add another $3-$5 per square foot. Excavation and Clearing: If no current surface exists, workers need to make sure there is adequate room for the new pavement. Foundation: Installing 8-10 inches of gravel below the asphalt is necessary for drainage. This can add on $1-$2.50 per square foot of surface area. Does Your Asphalt Need Replacement or Just Resurfacing? Because it only lasts about 20 years and requires regular maintenance every 3-5 years, homeowners need to consider what services they need performed routinely in order to maintain the integrity and performance of an asphalt driveway or other paved surface. Over the life of your home, this means choosing between a total replacement of the driveway and resurfacing, with the latter option being considerably less expensive. Replacement of asphalt driveways is necessary when the existing material is badly deteriorated or the underlying gravel base shows signs of failing. Removing and replacing asphalt is also necessary if the proper drainage of the driveway cannot be achieved because the area is too flat. If your base is still sound, it is easy to repair cracks and add vitality to the surface by simply installing a new layer over the old to resurface the existing top. While homeowners usually associate paving only with driveway finishes, there are several other common ways to use asphalt in and around homes and businesses. Choosing to apply it to common paved surfaces such as parking lots, sidewalks, and athletic courts is an equally economical and durable paving solution. The cost to pave a parking lot obviously relies a great deal on the size of that parking lot. Other factors similar to those that impact driveways are also of consequence, including drainage, leveling, and local material and labor prices. The type of paving professional you use also impacts the price. More experienced and highly qualified pavers charge more for a job, but they generally have the advanced skills and knowledge needed to compensate for factors such as guarding against alligator cracking and milling old parking lots to increase the longevity and quality of their paving job. Typically, the cost to apply asphalt to a parking lot is less expensive than a driveway because the greater surface leads to a price reduction per square foot. A typical 50,000-square-foot parking lot in the Mid-Atlantic market, for example, costs $1.25-$1.50 per square foot for 1.5-2 inches of overlay. Just like it is with driveways, the choice between asphalt and concrete is a common one when installing sidewalks and walkways around homes and businesses. 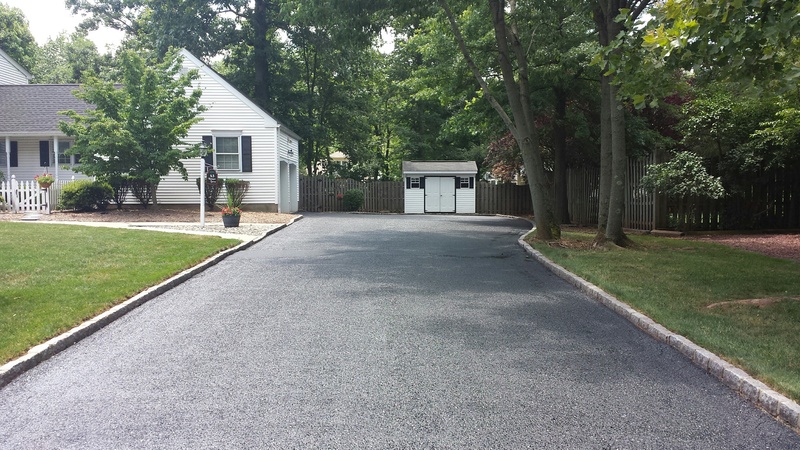 Choosing asphalt in this case offers property owners the same benefit as it does in their driveways: providing them with an economical yet durable surface that can easily stand up to temperature fluctuations. However, the finish and detailing that you choose to add to any walkway directly impacts its final cost. Where the average cost per square foot of paved walkway is around $5-$10 per linear foot, including excavation, labor, and base layers, adding features such as a curb can increase that figure. Still, the overall cost of an asphalt walkway is much lower than any other paving project based on its relative size. Asphalt surfaces are excellent for sports such as tennis and basketball, making a paved game court an affordable, active addition to any home or business lot. Whether it is regulation or practice size, the cost to install an asphalt court is generally similar to that of a driveway or parking lot based on local material and labor costs along with the total square footage. In general, plan on spending between $1.50-$4 per square foot for this type of paving job, with added costs for excavation and drainage work if needed. Because so many factors influence the price of any asphalt paving job, determining your final costs without a professional estimate is tough. In addition to the labor and material costs specific to your area, there can be a number of add-ons and other factors that impact the bottom line. Engineering: Costs increase depending on the quality and topography of your property, including slopes, angles, and curves leading to the road. Specialists who can properly design drainage along with increased labor hours tend to drive up the costs of such projects. Local Permits: Any driveway or surface that connects with a public road must meet all the requirements of the municipality responsible for that road. You may need to acquire a permit or change plans in order to compensate for such requirements. Weather: The stresses placed on your asphalt surface throughout the year due to temperature fluctuations may require you to apply sealant more often to preserve its quality. While most surfaces need resealing only every 3-5 years, some experts recommend yearly sealing in some circumstances. Professionally installed and well-drained and maintained asphalt surfaces last for an average of 20 years before they require complete resurfacing. However, in certain climates, high-quality installations can last for up to 35 or as little as 10. Employing a reliable, honest paving professional to install and maintain your asphalt is the best way to get the longest life out of your paving job. Thank you so much for this this detailed information. This little house of mine has never had a driveway or side walk and had no idea of the costs...Thanks so much for making this research so easy to understand. I have a ggod idea of costs now. Pricing helped me know what such a job can cost. Good information. I requested quotes from all specialists that you listed. I look forward to working with one of them in the near future. Your info sounds very professional. Thanks. I would like a free estimate, my driveway need to be replace also it is a asphalt driveway . This basic information was very helpful. Thank you. thank you for the imfo,very helpful. Answered my questions well. Time to start measuring. i need to find a contractor that can do stamping and staining for asphalt in this region. Does anyone know of a company that is reasonable in pricing? I live in upstate NY. I have 7200 sqft (550ft x 13 ft wide). Estimates for $15,000 and $15,500 so far. Just over $2/sqft. Good information... waiting for estimate. If you want a warranty for the paving work, some contractors will not provide one without a geotechnical report and soil testing information. This involves consideration of the subgrade soil and the geology of the area to be paved. If the area to be paved sets on a limestone base the paving may be susceptible cracking.